Since it's decorating month here at Paige's Page let's write a post for decorating in Pirate101. 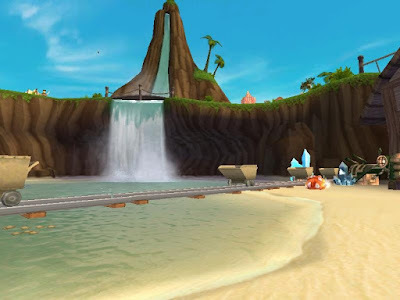 Did you know tatami mats and boards work the same way in both games? 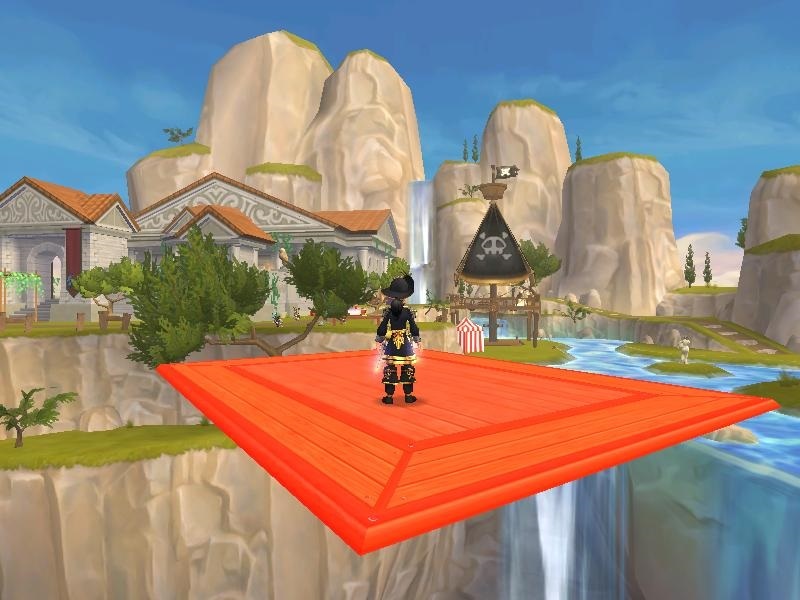 Did you know you can blend melt and create in Pirate101? I'm here to show you that you can! So Let's take two tatami mats and put a fan on our outhouse. 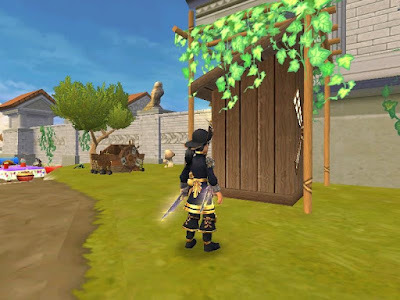 Using the same method as Wizard101 were going to place this windmill inside the outhouse to create an entire new piece. Now add some decor (details) flowers, lighting and a terrace to complete the piece. Oh and yes blades on the windmill still spin. 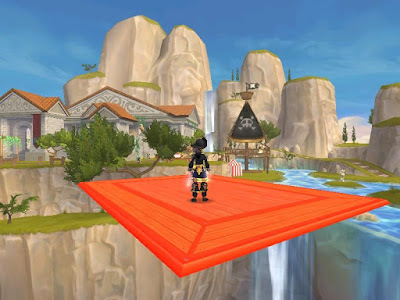 Now let's play with the board and mat technique again same as Wizard101, place your board and twirl your mat over the board. Let's head over to that tent. 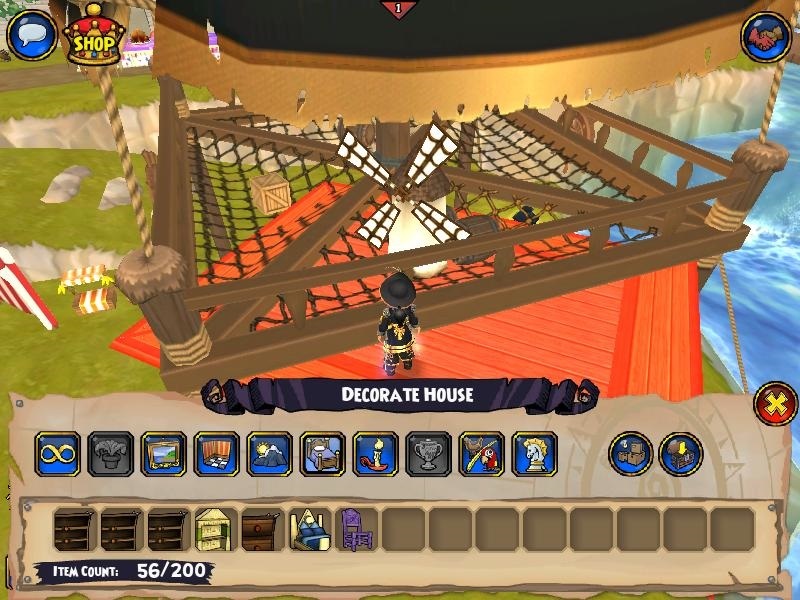 Now we can place things in the mesh of this tent, why not a windmill? Yup we did it! 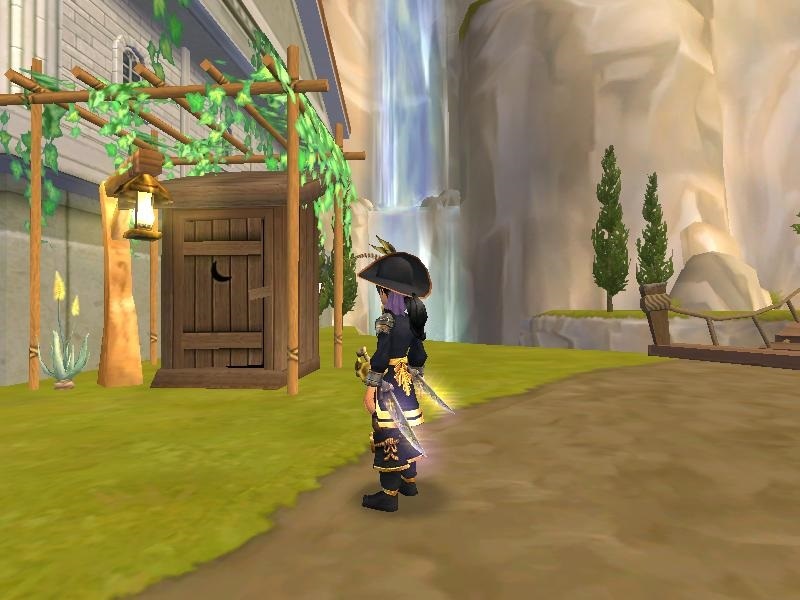 I'm going to take a stroll over to the edge of this house just to look around. Yes! Pirates can create some fantastic hideouts in Pirate101. What will ye create? Happy Hideout Decorating. I will try decorating my pirate house soon. Thank you for the guide. 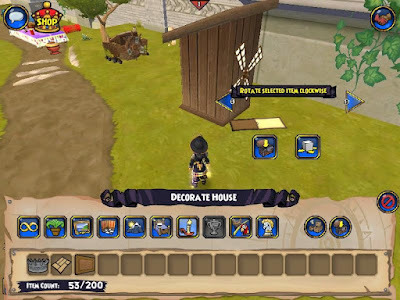 Where did you get the windmill item? 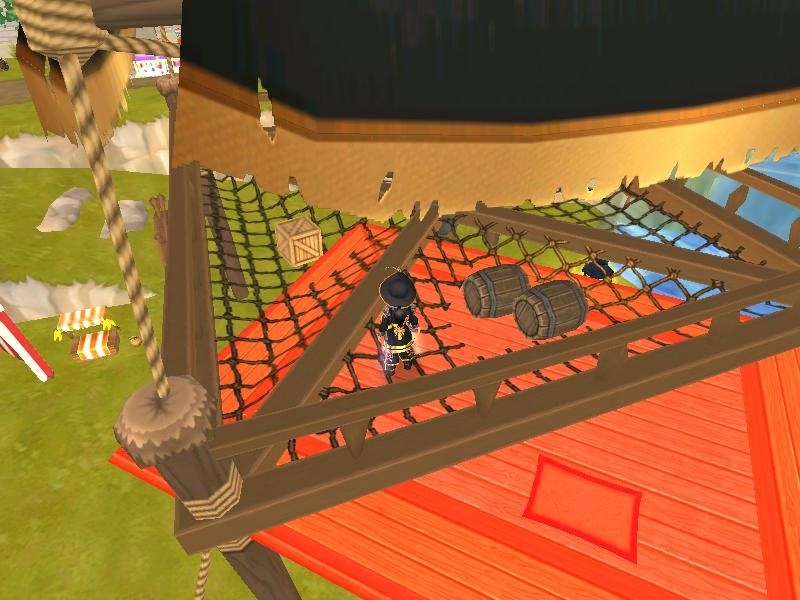 It'll work great in a few of my houses, like the Buccaneer's Den!